C’est La Fête Nationale! Wherever you are in the world, I hope you have donned your beret, slung a string of onions round your neck and celebrated Bastille Day in style – I spent the scorching afternoon sweating it out at the Bastille Festival at Borough Market, grazing on treats, stocking up on stinky cheese and soaking up general French-ness. Ah oui. And tonight we’ve made a Breton classic – galettes de sarrasin. 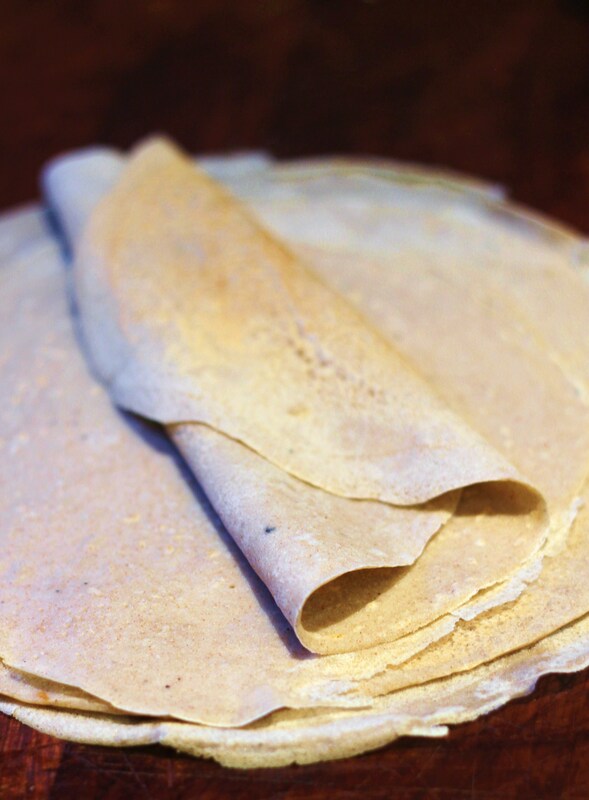 These savoury crêpes, made from gluten-free buckwheat flour, are so easy to make and the buckwheat gives them a distinctively nutty, almost toasted flavour. We usually fill ours with the simple but utterly perfect combination of ham and cheese – grated emmental, gruyère or comté or slices of oozy reblochen are our pick of the bunch. Why not go all out and add garlic mushrooms, fry an egg on top or go left-field and stuff with spinach and ricotta? The options are endless – bon appétit! If you don’t have a crêpe pan, a frying pan will work too but try to use one with a heavy base – the high iron content will help to distribute the heat evenly for perfectly cooked pancakes. Whisk all the ingredients together (apart from the oil) until any lumps have gone. Leave to rest in the fridge for at least a couple of hours (and up to a day). Tip: You can use the batter immediately but rested batter makes for smoother, silkier pancakes. Place your crêpe pan on a medium-high heat and grease well with oil. Tip: I find the easiest way to do this is with oiled kitchen paper. Once the pan is hot, re-stir your batter and pour or ladle in some of the mixture (depending on the size of your pan); spread evenly. Tip: I use a crêpe spreader (for want of a better word) but you could just niftily swirl it about by tipping the pan. When the pancake starts to dry on top and brown underneath (about 1 minute), flip with a spatula and load with ingredients. Tip: If you’re using cheese, put it on first so that it has time to melt. 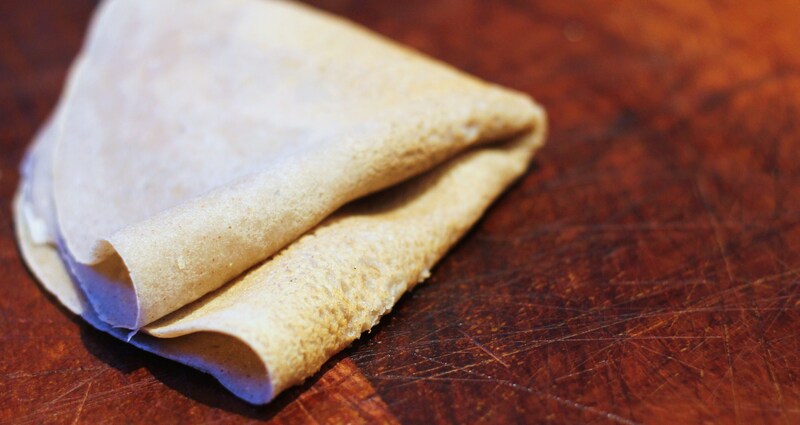 Cook for another minute or so, pleat the sides, fold in half or roll (your call!) and serve. Re-grease the pan and continue! 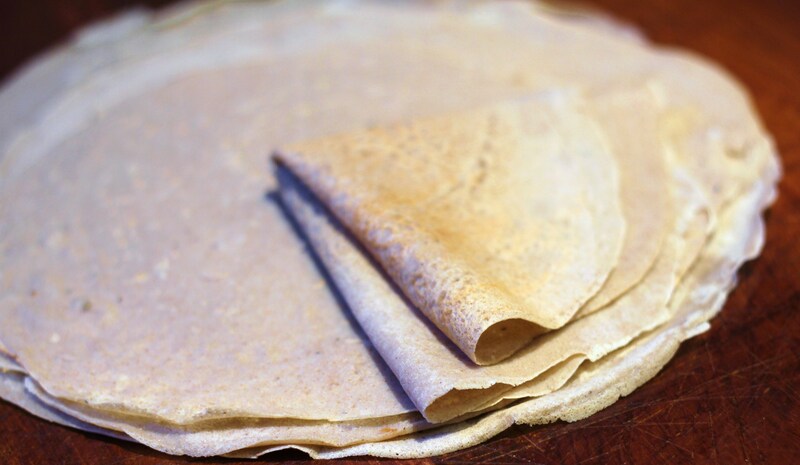 Tags: Bastille Day, Breton, buckwheat crepe, French, galette de sarrasin, gluten-free, savoury crepe. Bookmark the permalink.